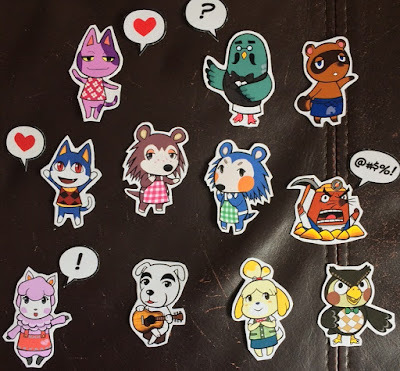 I went for the Animal Crossing ones as they are so nostalgic for me! Looking at these conjures up images of me as a kid playing this game on my Gamecube. The characters are so cute as well - the print is realllllyy high quality and the colours are lovely and vibrant. Megan also sells Monster Hunter magnets and cute little animal magnets too. Pannya Art is seriously worth a look, I've never seen any fridge magnets like this! They will really jazz up my kitchen. I'm one step closer in my quest to have the cutest house in existence!